So you’ve decided to start a mom blog! This part where you get to choose a domain name for your mom blog is the fun part but it can also be very confusing. Right next to choosing the perfect mom blog niche. You are bursting with ideas and possible names for your mom blog, then the time finally comes to purchase your domain name and you just can’t find the right one anymore. I wrote this post to help you find awesome mom blog names you can choose from. 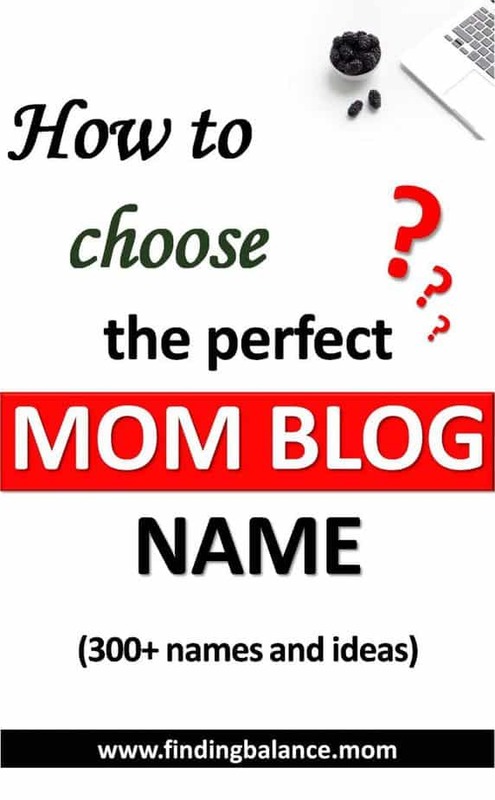 Should You Use A Mom Blog Name Generator? The Best Mom Blog Names On The Internet..
Before I show you the list of mom blog ideas and how to find more, I wanted you to take a look at some of the best mom blog names on the internet for some inspiration. Did you notice anything about those mom blog names? So when you consider choosing a domain name for your mom blog, remember that you need to consider how it’s spelled. For example the domain name “misspellingmom.com” doesn’t work because Firstly, misspelling is easy to misspell! I actually typed it first with a single “s” every single time. The other thing is that when you look at it, it may read like “Miss Pelling Mom”. A worse example: “thepenisred.com”, see what is going on there? Another thing to keep in mind is the length of your choice domain name. Make it too lengthy and it will be too hard for anyone to remember. 1) What your mom blog will be about? By now you should have decided on a perfect niche for your mom blog. What will you be blogging about? Crafts, tech, camping? Just keep in mind that if you decide to go down this route, you have less room for changing niches. So it’s best to use a neutral domain name until you are 200% sure of what you want to blog about. 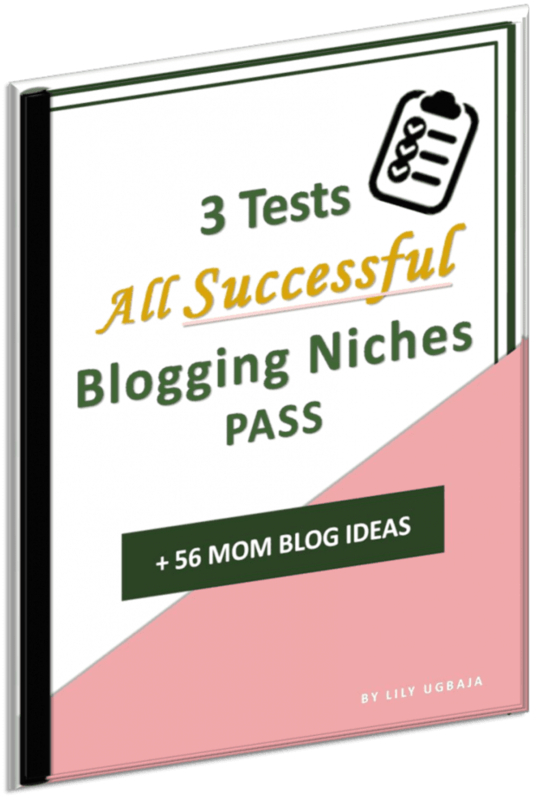 Use the 3 point niche hacking formula to find your perfect niche (includes 56 Mom Blog Ideas for inspiration!) + get free access to my RESOURCE LIBRARY! 2) Who is your mom blog targeting? Like I always say, a mom blog isn’t necessarily a blog about momming. If you decide to start a high end fashion blog that isn’t targeting moms specifically then a “momfashion.com” won’t suffice. 3) Does your mom blog read OK as a URL? Remember that example of The Pen is Red? www.thepenisred.com. See? It’s easy for a great name to become an embarrassing one when you overlook this point. Also make sure it’s easy to say and spell, you don’t want to read out your domain name to someone only to follow up with some explaining every single time. it’s probably not the best name for you. Here’s a list of mom blog name ideas I came up with for you. I hope you find some you love and even if you don’t, make sure to scroll to the bottom to learn easy ways to find more mom blog name ideas. If you do, make sure to register it immediately as great names get snagged up pretty quickly. Click here to access huge discounts on domain names. The Registrar I use is the cheapest and thankfully, the best in cyber town! You could also register a .mom like my blog name if your target audience are all moms! Just type .mom instead of .com. Quick note, your blog doesn’t have to say single just because you are single? Also consider what happens if you marry. This list is currently being updated to add over 100 mom blog names to the list! Sometimes you want a name that’s unique yet resonates with your audience. Or you simply see an already taken blog name you like. What you should do is use a thesaurus to find perfect substitutes. Like I love the blog name “inspiretothrive.com” but Lisa Sicard already uses it for her kickass digital marketing blog. So what I’ll do is pop “inspire” or “thrive” into the thesaurus and see what comes up. From this list I could decide to use “inspiretorise.com” which is just as kickass! I think this works best to help you understand the words that resonate most with your target audience. FindingBalance.Mom is more than just a blog on blogging but if it were strictly a blog on blogging, I would make sure to use the words “mom” and “blog” in it. Why? The best blogs in the industry do so. Mommy blog name generators make it easier to come up with creative mom blog names quickly. At the very least you’ll get loads of ideas to help you decide. There you have it. My massive list of mom blog names and how to choose the perfect one! Did you choose anyone? Which did you like best? Then when you are ready to start your blog, check out my free blog setup service. And don’t forget to share this post! Be kind. I dig the fit ones Lily. Moms are figuring fitness plays a huge roll in wellness, and, how you raise your child. Kids mirror back wellness. My mom raised me to be fit; habit sticks with me at 44 years of age.